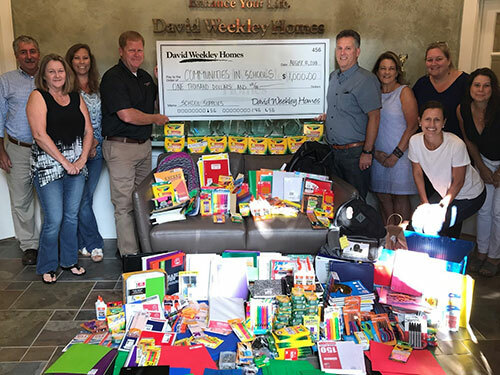 Orlando, FL (August 22, 2018): David Weekley Homes, the nation’s largest privately-held builder, hosted its fourth annual, companywide CA+RE School Supplies Drive in 17 cities across the country. In Orlando, school supplies were collected for A Gift For Teaching, an organization that provides free resources and surplus materials to teachers for their students in need. Approximately $7,700 in supplies were collected from homeowners, homebuyers, trade partners, real estate agents and David Weekley team members during the drive. This donation provided around 8,000 students with the supplies needed for the school year. David Weekley Team Members donated school supplies to A Gift For Teaching.